City of Edmonton Archives (EA-500-281). Canadian Mounted Rifles Camp, Edmonton, AB, 1906. The Canadian government spent very little money on the military around the turn of the century. Although needed, new military regiments (those additional to existing regiments such as the Canadian Mounted Rifles) were very difficult to raise during this period, especially in the West. 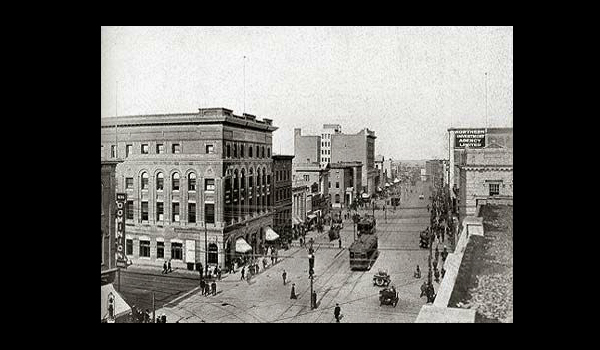 For those who wished to serve their country by volunteering to defend it in time of war, few less discouraging places could be found than Edmonton, Alberta, at the start of the twentieth century. In 1899, General E.T.H. Hutton, the General Officer Commanding (GOC) of the Canadian Militia, pointed out that Canada spent only 32 cents annually per capita on its military, less than any other country in the world. Militia units were still armed with the ancient Snider-Enfield rifle that had first seen service during the Fenian Raids of the 1860s. In spite of repeated recommendations in the annual reports of GOCs for the creation of new regiments in the West, not so much as a company existed, even on paper. The great stretch of country between Manitoba and Vancouver did not possess any militia units. Politics and patronage, which ruled in the Militia Department to an even greater degree than most other branches of government, ensured that any effort to use part of the meagre budget to expand to the rapidly developing Prairies would come to nothing. The attitude of the Canadian government was summed up in Prime Minister Wilfrid Laurier's statement to the newly appointed GOC, Lord Dundonald, on his arrival in Ottawa in 1902. Laurier told Dundonald, "You must not take the Militia seriously, for though it is useful for suppressing internal disturbances, it will not be required for the defence of the country, as the Monroe doctrine protects us against enemy aggression." 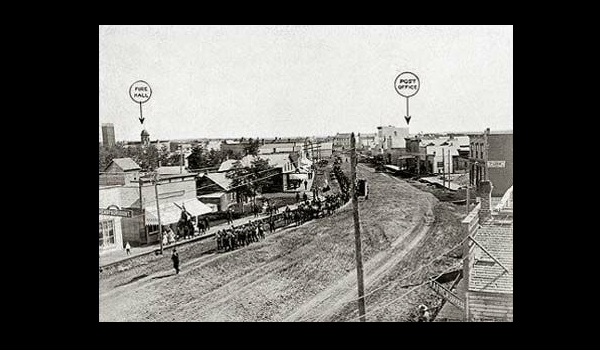 (2) In September of 1905, when Edmonton hosted the ceremonies marking the creation of the new province of Alberta, militia units had to be imported from Fort Saskatchewan and Calgary to contribute to the celebrations. Some Canadians, including Prime Minister Laurier, argued that home defence was not a major concern. According to this view, Canada, if threatened, would be protected by the United States through the Monroe doctrine. Lieutenant-Colonel Frederick Borden, 13 July 1896. Borden, Minister of the Militia and Defence (1896-1911), helped in establishing a modern army for Canada. Modernization included developing a new organizational structure and creating a medical service and army engineer and signals corps. Despite these limitations, some encouraging signs did exist. Canadian volunteers, many drawn from the militia, had done well in the South African War, raising the profile of military service and making it easier for governments to allocate money. Moreover, the country was in the middle of an economic boom, and more money was available for the military. Even if Prime Minister Laurier did not take Canada's military role seriously, his minister of militia and defence, Frederick Borden, did. Borden's son, a lieutenant in the Royal Canadian Dragoons, was killed in South Africa. Borden henceforth did what he could to overcome the apathy of his cabinet colleagues and provide Canada with some semblance of a modern army. Rudimentary brigade and divisional organization, along with medical services, appeared shortly after the turn of the century. The first Engineer and Army Service Corps units were authorized in 1901, and, two years later, the Canadian Ordnance Corps and the Canadian Corps of Signals were brought into existence. In 1908, the Militia Council finally awoke to the "astonishing developments which have taken place in the four western provinces." (3) The West's population was growing so rapidly that some otherwise sober economists were predicting that the region would have 50 million people by the end of the century. 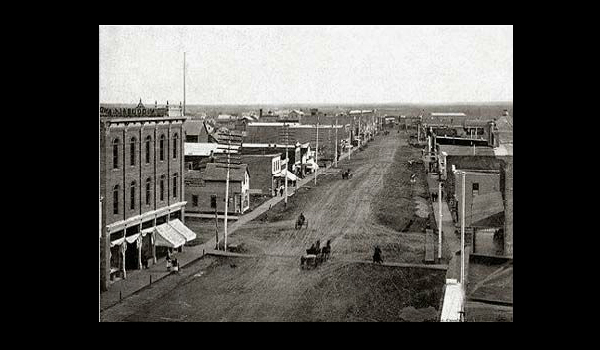 Edmonton, which had just over 8,000 people when it was incorporated as a city in 1904, mushroomed to 18,500 four years later and to 50,000 after its amalgamation with Strathcona in 1912. 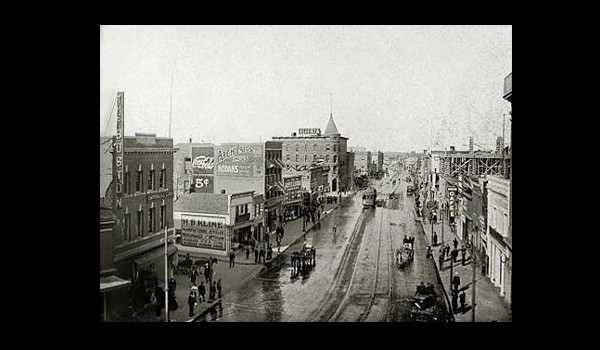 Muddy streets, horses, and wooden buildings characterized Jasper Avenue in 1904, but pavement, electric streetcars, and brick and stone structures had become commonplace just a few years later. The University of Alberta was about to graduate its first class in 1911 and the imposing legislative building was under construction on the north bank of the North Saskatchewan River where the old Hudson's Bay Company fort had stood. 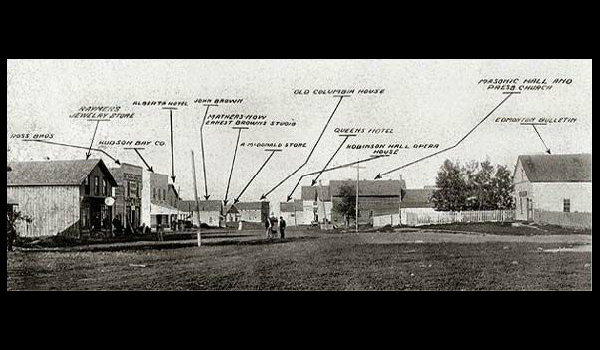 During the period, no resident of Edmonton was more conscious of the city's growth and importance than William Antrobus Griesbach, a rising young lawyer who had become city councillor and mayor while still in his twenties. He would later emerge as the first of a series of inspirational leaders of The Loyal Edmonton Regiment. Edmonton: Alberta's Capital City (Edmonton: Esdale Press and McDermid Engraving, 1914). Like the other major centres in the Prairie West, Edmonton grew rapidly around the turn of the century. It went from being a farming outpost with dirt and mud streets to a thriving city with a vibrant business sector and a diverse population. 1.Edmonton Bulletin, 20 May 1914. 2.Desmond Morton, Ministers and Generals: Politics and the Canadian Militia, 1868-1904 (Toronto: University of Toronto Press, 1970), p. 176. 3.Canada, Militia Council, Annual Report, 1909 (Ottawa, 1909), p. 3.